DriveSafe DriveAware is a cognitive screening tool that measures two areas that are critical for safe driving a driver’s awareness of the driving environment and awareness of his or her own abilities related to driving. The test can be used when ability to manage the cognitive aspects of driving may be impaired by a medical condition, injury, or the aging process. General practitioners and other health professionals can use to accurately predict which patients with a cognitive impairment require an onroad assessment. consists of three subtests 1. DriveSafe 2. DriveAware 3. Intersection Rules (Optional) was designed so that a large proportion of the test can be selfadministered by the majority of patients. Total test time is approximately 10 minutes. DriveSafe DriveSafe consists of 10 images of a 4way intersection. Each intersection includes a number of people and vehicles (ranging from 2 to 4 objects in total). These objects are presented for 4 seconds then disappear. For each object presented, the patient is prompted to recall 3 pieces of information 1. Type of object (e.g., car, pedestrian, couple walking together, truck, or bicycle) 2. Object location 3. Direction of movement After the objects disappear, the patient touches the screen to indicate object location, selects one of five icons for object type, and drags the arrow in the direction the object was travelling. DriveAware The DriveAware subtest consists of seven questions. The patient rates his or her perceived performance on the DriveSafe subtest in two selfadministered questions. The remaining five DriveAware questions are part of an interview that a general practitioner or health professional conducts at the conclusion of the test. Results of the DriveSafe and DriveAware subtests are used to classify drivers in three categories likely to fail an onroad assessment, requires further testing, and likely to pass an onroad assessment. Intersection Rules (Optional) The Intersection Rules subtest presents eight intersections with two to four vehicles in each intersection. Four intersections have road sign symbols. The patient touches the screen to indicate the order in which vehicles in the intersection should proceed, according to the road markings and symbols presented. 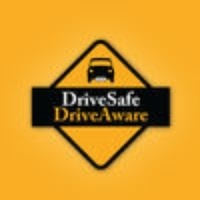 Check these links to find your download for DriveSafe DriveAware for & iOS or for your device iPad. The app DriveSafe DriveAware is compatible with te following devices.